The Just Joans - "Has Anybody Seen My Boy?" / "Who Does Susan Think She Is?" So there you are, terrific weekend angst-pop for the taking in digital and vinyl formats via Fika Recordings. By the way, The Just Joans are siblings David and Katie Pope, Chris Elkin, Fraser Ford, Doog Cameron, and Jason Sweeney. The record's artwork is special as well. It was created by Doreen Kay, who attends a weekly art class run by Katie Pope for adults with learning disabilities. Manila siblings Micaela and Michael Benedicto are Outerhope. 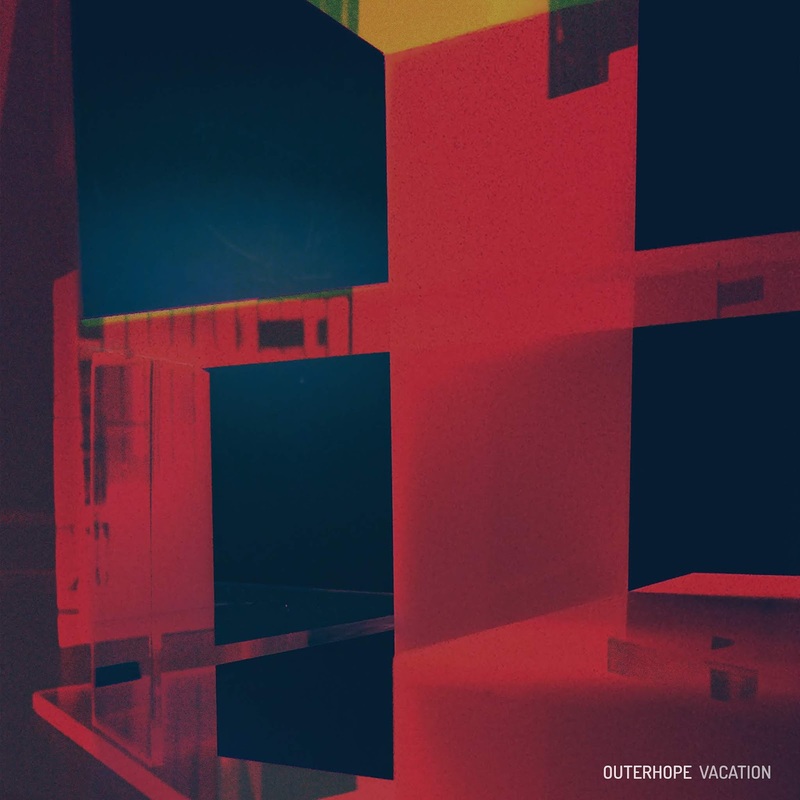 If you don't follow them, you should, as their new album Vacation combines playful electronica and sparkling dream pop to create a transcendent listening experience. Dedicated to author and music critic Luis Katigbak, Micaela's late partner, it explores weighty themes of remembrance and loss, but does so with a beauty and charm that works as to celebrate Luis as well as grieve his passing. The chiming synths deliver an uplifting, summery warmth throughout, while the vocals .... well, all we can do is sigh and smile contentedly. Give yourself a treat, and stream "Holiday" and "Out to Sea" below. You will be happy that you did. Tryants had an interesting beginning. 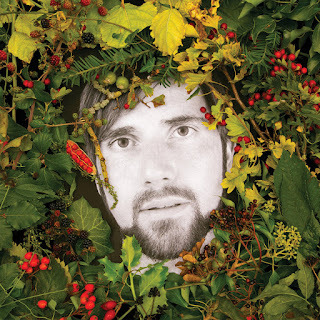 The Scottish artist who now records and performs as Admlithi had given up music. But a chance discovery of an '80 keyboard in a trash bin inspired him to create a party album in honor of Prince. However, the twin occurrences of the right-ward shift of politics and a diagnosis of adult autism led him down a different path. Working in his bedroom (except for some field recordings), Admlithi created a cinematic darkwave tapestry -- grand in scale, emotional in content. Put on your earphones and dive into the swirling shadows, it is a surprisingly rewarding journey. And no, it isn't a party album. But we think Prince, a man who thrived on inspiration and invention, would heartily approve. 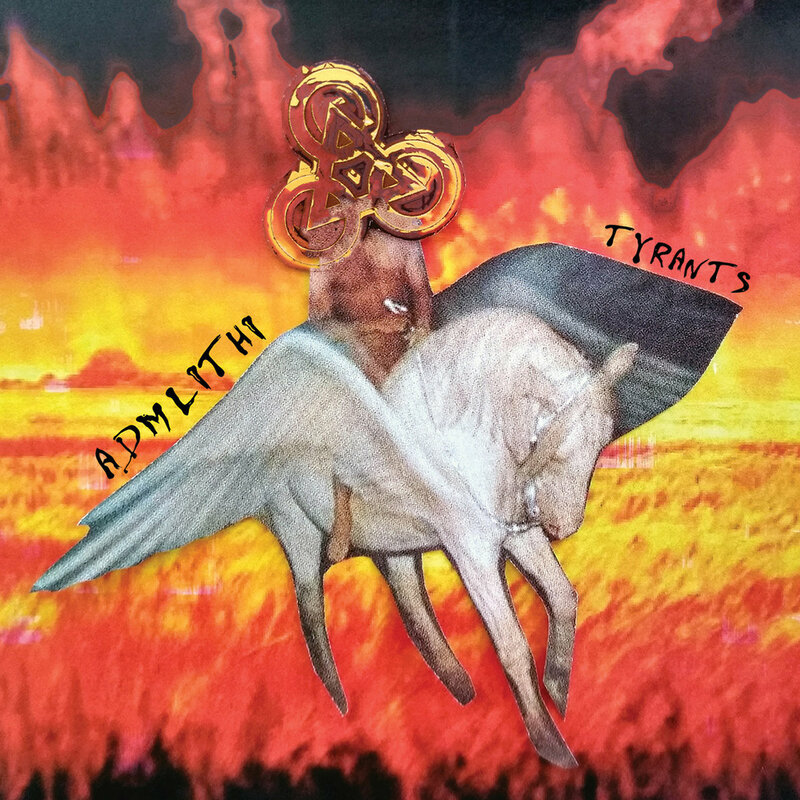 Tyrants is out now in digital and CD formats via Armellodie Records. The Chills, one of New Zealand's finest musical exports, will put the exclamation point on their resurrection on September 14 with their new album Snow Bound. Our latest hint of the delights to be revealed is "Scarred", which follows the two-song single from the album released earlier this summer. Enjoy the stream, and mark your calendar for September. Or you could be efficient and hit Fire Records' pre-order link below. You know what it is like when you get up in the morning after a wildly successful romantic encounter, shower, put on clean clothes, and walk down the street toward your favorite coffee shop. The sun is warming your face, the people and dogs are friendly, and the birds are singing. You don't have to work today and life is good. Well, that is what listening to "Cactus Country" sounds like -- the sound of a morning that makes life so worthwhile. So of course, we have listened to the song approximately 3,009.5 times since it dropped in our box yesterday (the fraction represents the fact that the song remains on repeat here). The summery, soulful gem is the creation of the Melbourne band Cool Sounds, whose name choice is just about perfect. 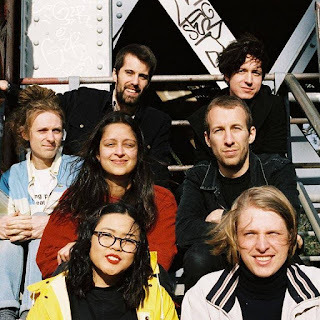 The members of the band are Dainis Lacey, Nick Kearton, Ambrin Hasnain, Lauren Huynh, Steve Foulkes, Jack Nichols, and Liam "Snowy" Halliwell. And to pile on great news, the song is the title track for their album, which will be released October 26 via Osborne Again Music. We are conflicted. We don't want summer to leave us (although the forest fire haze could blow away anytime soon, thank you very much), but we want a little bit of October to be here right now. Which part of October? Well, you probably are thinking of Octoberfest, but that isn't the right answer. While we are quite fond of the brew, we are thinking of the debut album from Finland's New Silver Girl, which is coming via Soliti Music in a couple of months. And to justify our conflict, we offer the video version of the "Starlight City", the second track from the album shared by the band. The song is a eminently danceable jolt of glam-inflected rock and roll, and we think it fully justifies our anticipation of the album. New Silver Girl are Olli Happonen, Samuli Sulku, Ilmo Cantell, and Niilo Suihko. 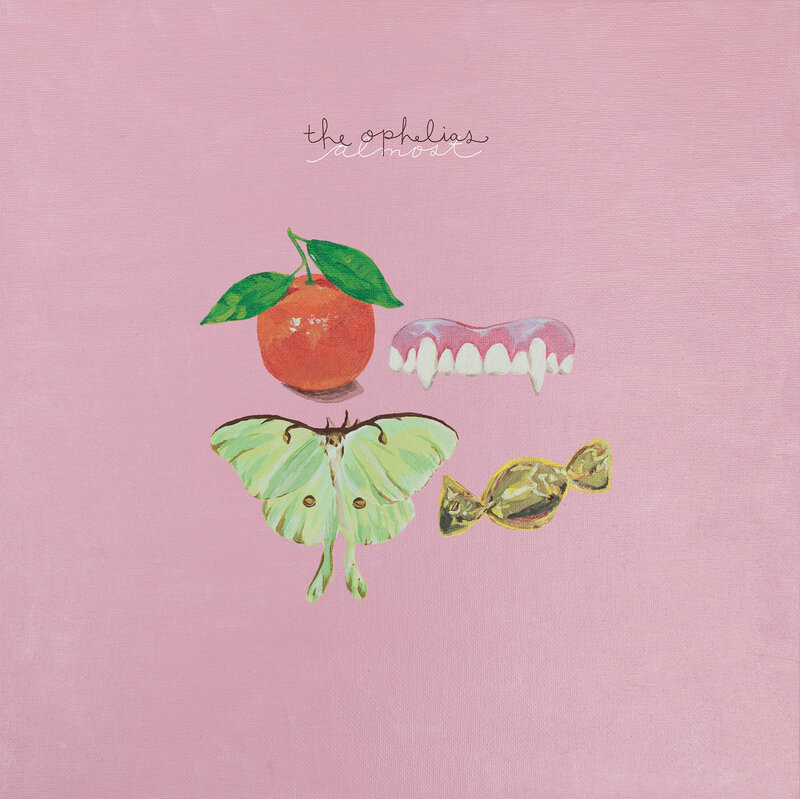 Darkly shaded themes swathed in bright art rock and related in delicious harmonies are the order of the day on Almost, the second album by Cincinnati's The Ophelias. The quartet get the balance just right, and aided by the unconventional deployment of a violin, as well as keys, bass, percussion and guitar, the ten songs present a fresh take on pop music. And while the band never disguises the serious themes (what would one expect from a band named after a character in Shakespeare's Hamlet? ), these ten songs seem to be lighter than air and listening to them is like being surrounded by a sparkly mist. And that experience is as good as it sounds -- give it a try. The Ophelias are Spencer Peppet (guitar/vocals/songwriting), Grace Weir (bass), Andrea Gutmann-Fuentes (violin/piano), and Micaela Adams (drums). Almost is out now in digital and vinyl formats via Joyful Noise Recordings. Melbourne's School Damage consists of Carolyn Hawkins, Dani Damage, Jeff Raty, and Jake Robertson. At the end of this month they are hitting us with their second album, titled A to Z, but they aren't going to make us wait until then to give us a hint of what they have been cooking. So treat your ears to "Meeting Halfway", a nice slice of the band's trademark woozy DIY pop. And you can treat your eyes, as well, with the stop-animation video created by School Damage's Carolyn. A to Z will be released in vinyl, CD, and digital formats by Chapter Music. Album titles don't come more descriptive than Four Band Comp which, as you no doubt have guessed, is a compilation of songs from four bands. The underlying concept is simple genius. Take four bands critical to the late Sarah Records, and include two previously unreleased songs from each. 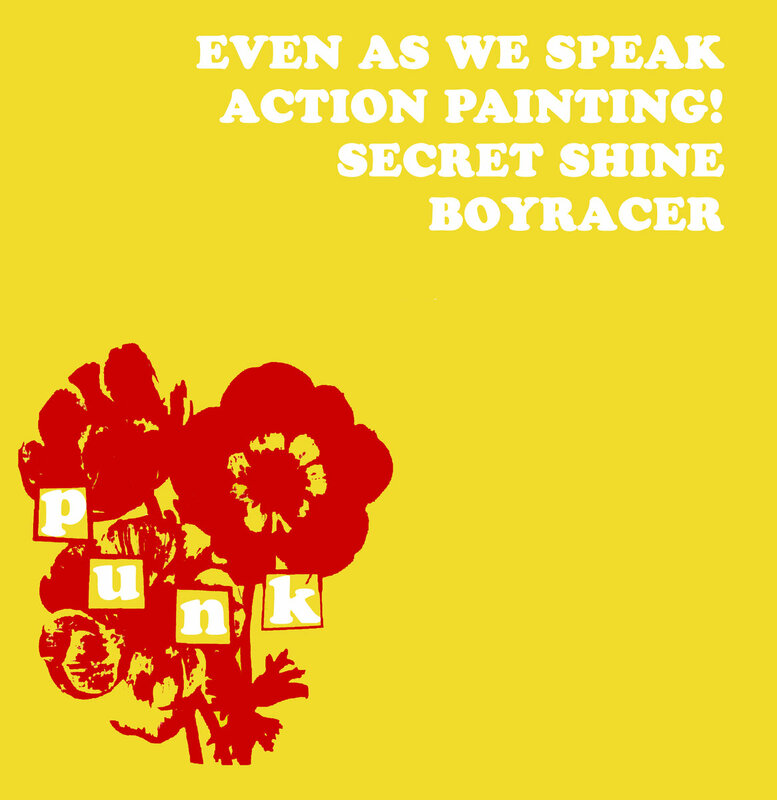 The chosen worthies are Even As We Speak, Secret Shine, Boyracer, and Action Painting!. Showcasing the variety, as well as the quality of the label, they bring indie pop, dream pop, and punk. The UK was treated to a joint tour by the bands in July, but everyone in the world can own this record. And they probably should. Four Band Comp by ACTION PAINTING!